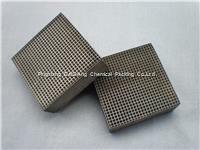 T02-1 CO removal catalyst could be used to remove CO from petro gas, inert gas, oxygen and etc, also could be used in various furnace like oven, chimney place, incinerator to treat not burst CO.
CO removal catalyst could be used to remove CO from petro gas, inert gas, oxygen and etc, also could be used in various furnace like oven, chimney place, incinerator to treat not burst CO. Before using, CO removal catalyst should be heated up to 180~200℃ by fresh air, in order to active its performance. The best operating temperature: 250℃-300℃, after light-off, shut down automatically compensate for heating. 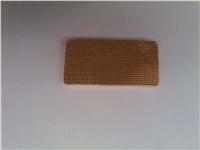 If the temperature is up to or above 550℃, cool the reactor by heat transfer and recover heat energy. This catalyst could make CO content less than 0.5ppm under space velocity at 1.0~3.0×103 h-1, T02-1 has high crushing strength, with service life at least 2 years.